Coca-Cola is planning its first entry into the popular “alcopop” market in Japan with a low-alcohol canned beverage known as “chu-hai”. Coca-Cola did not provide further details on when the new product will launch. 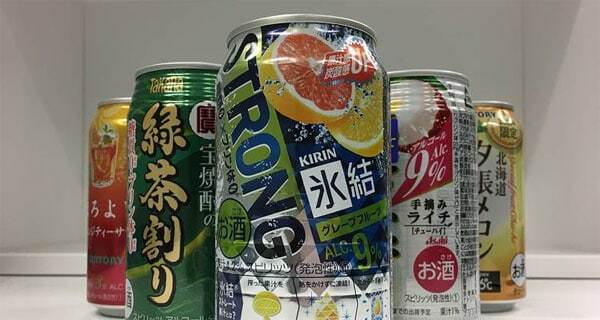 These beverages are typically composed of a distilled grain-based alcohol called “shōchū”, along with carbonated water and flavours such as strawberry, ice tea and cream soda, The Wall Street Journal reported. The experiment is a first for Coca-Cola, Jorge Garduño, president of Coca-Cola’s Japan unit, said in a blog posted on the company’s website. “It makes sense to give this a try in our market. But I don’t think people around the world should expect to see this kind of thing from Coca-Cola. While many markets are becoming more like Japan, I think the culture here is still very unique and special, so many products that are born here will stay here,” he said. Similar to other CPG companies, Coca-Cola has to come up with new products in order to be successful, but the Japanese market is particularly competitive. “The Japan business unit launches an average of 100 new products a year, and many times more are put to the test behind the scenes,” Garduño said. It’s uncertain how a low-alcohol Coca-Cola product would do in the US since American consumers aren’t used to seeing the brand positioned in that category. So far, Coke’s recent innovations here have consisted of two new on-trend fruit-flavoured sodas, flavour and packaging change-ups with its Diet Coke line, and its new slushy Arctic Coke, as well as experiments with different sweeteners such as stevia. In addition, Coca-Cola and McDonald’s have partnered to introduce a line of ready-to-drink McCafe Frappes. However, Japan is a very different market from the US, as the company’s unit president pointed out. Unlike US millennials, whose food and beverages preferences are key to innovative approaches, Japan’s population is aging and these older consumers apparently drive the success of functional beverages such as Coca-Cola with fibre, called Coca-Cola Plus in Japan. If this new “chu-hai” product does well there, it’s not out of the realm of possibility that Coca-Cola would bring it back home and see what US consumers think of it, at least as one more intriguing experiment. James Quincey, Coca-Cola’s CEO, has indicated he wants to create a “total beverage company.” To do that may mean blurring the lines between non-alcoholic and alcoholic beverages, at least on some occasions. Low- and non-alcoholic drinks are becoming more popular as people look for healthier beverages but may still want to attain a small buzz. This new product seems like it might fit right in with that trend. It will be interesting to see whether Coca-Cola’s competitors, such as PepsiCo and Dr Pepper Snapple, respond, either here or in Japan.